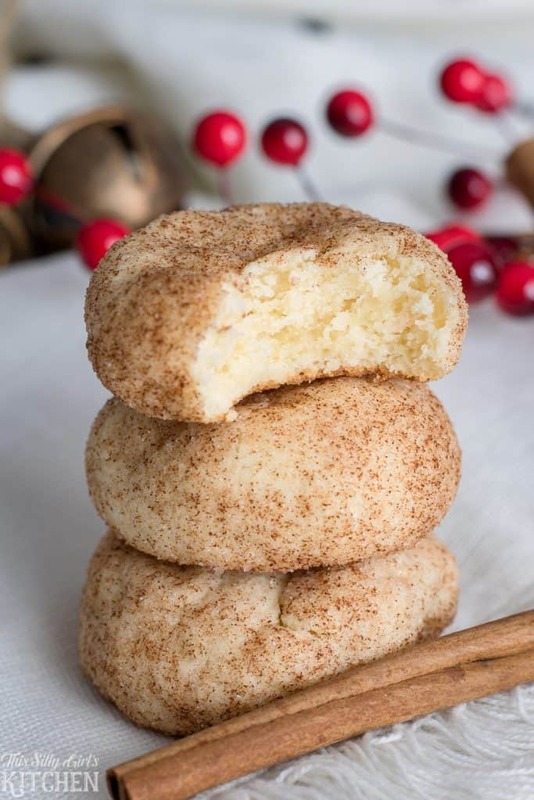 Cinnamon Cream Cheese Cookies - Snickerdoodle Meltaways! 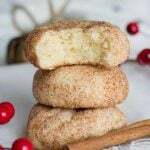 Cinnamon Cream Cheese Cookies - Snickerdoodle Meltaways! 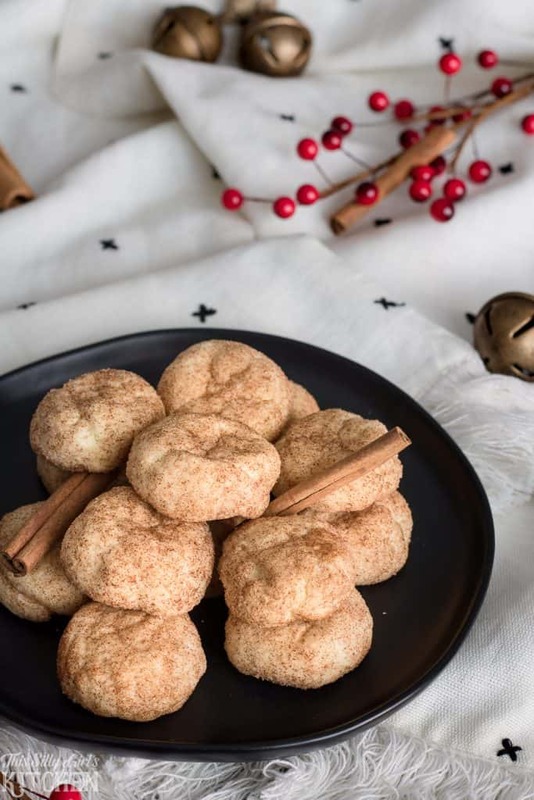 These cinnamon cream cheese cookies make for the perfect Christmas (or anytime!) cookie! Cream Cheese Cookies, just the name of these has me drooling. But, then add cinnamon to the mix and I’m sold! Cinnamon Cream Cheese Cookies already! 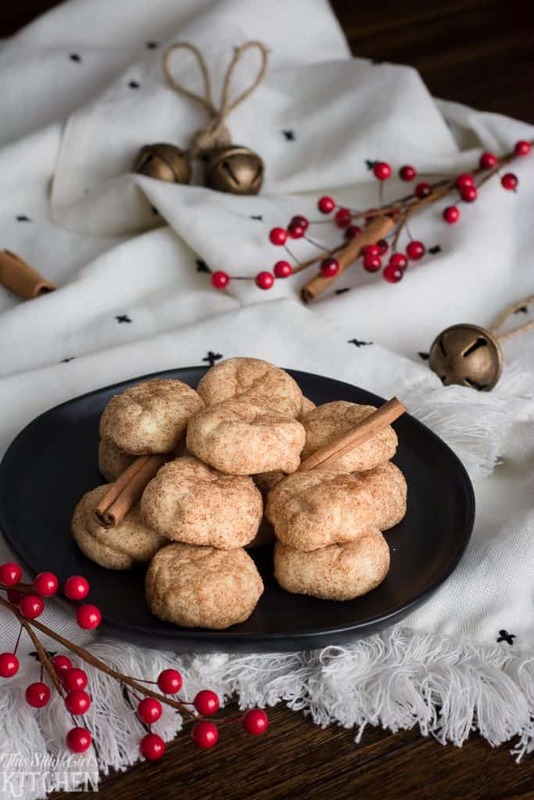 If you would rather not hear my super helpful tips and tricks, FAQ, and my overall awesomeness and get straight to this delicious Cinnamon Cream Cheese Cookies recipe – you can very easily scroll all the way to the bottom of this post for the full printable FREE recipe! Bon appetit. I’ve had them plain before but I really wanted to try something new with the basic recipe. Normally, you will roll the dough balls in powdered sugar, instead, I rolled them in cinnamon sugar! 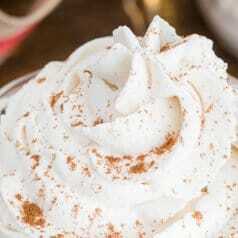 This makes the outside have a slight crunch and a nice cinnamon kick! I really don’t know why I haven’t tried this sooner. 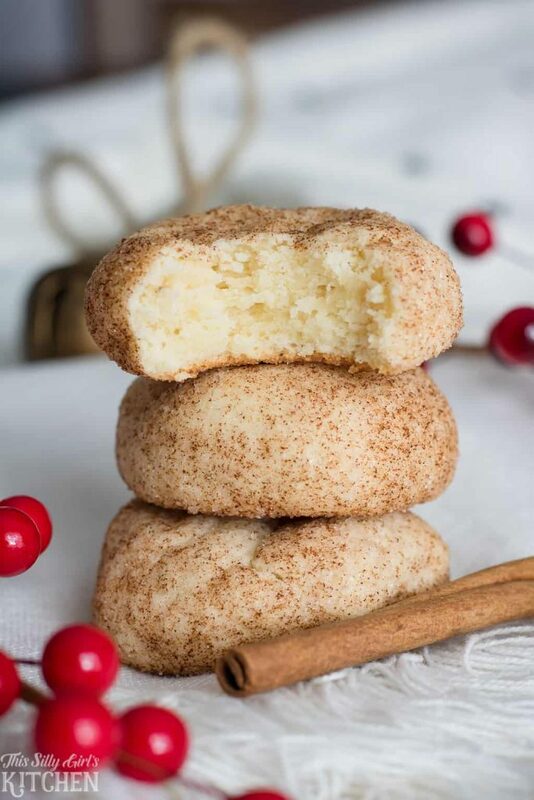 We are suckers for cinnamon desserts in this house and this will be a new Christmas cookie staple around here! Cream together butter and cream cheese, mix in powdered sugar, eggs, vanilla, and flour. Let chillax in the fridge for an hour. 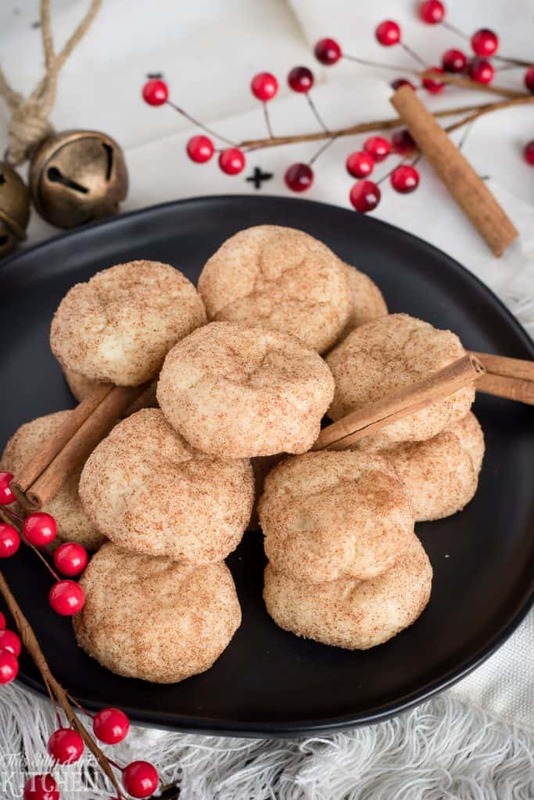 Roll out 1-inch dough balls, and roll them in yummy cinnamon and sugar. Bake until just set, this is important and the key to a tender cream cheese cookie. How yummy would these be on a huge Christmas cookie spread? Honestly, though, these are perfect year round if you ask me. You can’t go wrong with cookies with cream cheese! It’s always time for cinnamon in my book! Want to really take these over the top? How about adding a yummy cream cheese or powdered sugar glaze drizzled over each cookie?? Make cream cheese frosting and BOOM: Cinnamon Cream Cheese Cookie Sandwiches, wow again! For even more of a spicy kick, add more cinnamon to the cookie dough. You can add this in at the same time as the flour. I also think these would make a great cream cheese sugar cookie. Roll these in colored sugar for a festive touch! Vanilla Bean Paste, this is a must for a great vanilla kick to any baked good. 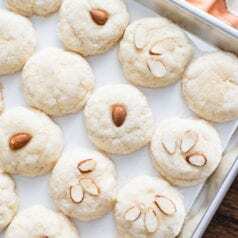 Wired rack, to cool baked goods – and these cookies! Do you love cinnamon as much as I do? The base of these cream cheese cookies is so amazing I had to make more versions! Can you freeze cream cheese cookies? This recipe is adapted from Cakescottage. 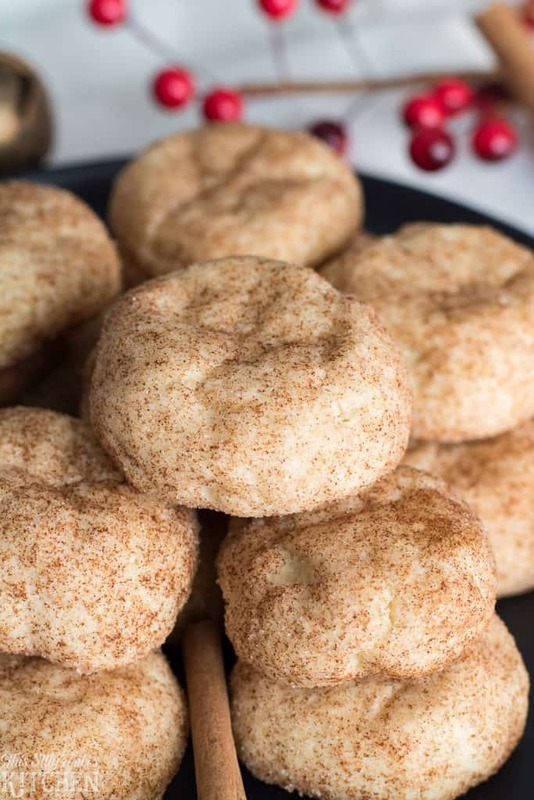 Cinnamon Cream Cheese Cookies, an easy, tender cookie bursting with cinnamon sugar. I’ve had these on my radar to make for a couple of weeks now, and finally did last night! 29 weeks pregnant and this kid wants all things cinnamon-sugar related (and I’m happy to take one for the team there!) 🙂 So soft and delicious- and we even made some homemade ‘cinnamon roll icing’ to dip them in!! Thank you for sharing this recipe! YESSS! Yum, I need to try them with frosting too, I just can’t keep them stocked long enough to do so… lol! How long can you keep them (not cooled)? I am so looking forward to try the recipe! They last for a good 4-5 days, if you don’t eat them all first! Make sure they are in an airtight container when storing. Hi! I made These last week and they were incredible! I was thinking of making them for thanksgiving but wanted to incorporate canned pumpkin into the dough. Any advice on how that might work? 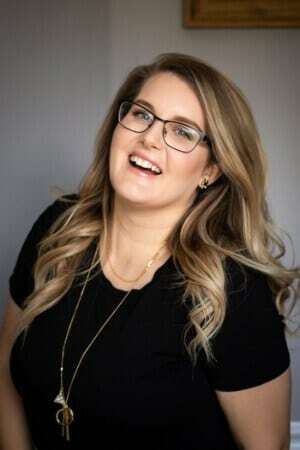 Hi Katerina! I have never tried, so I really can’t say for sure. If it was myself experimenting I would sub some of the butter and/or cream cheese for the pumpkin, but I really have no idea if it would work. If you try, please let us know! On my third batch – this time doubled it…….absolutely fantastic…..
First time baking cream cheese cookies and they turned out okay. I was a little worried about them being undercooked as the center is so moist, it could be mistaken for close to raw. Baked for 8 minutes, took out and checked them, then put back for 4 more. Delicious! Love anything with cream cheese and cinnamon! Wondering about peppermint flavor, how would you do it for Christmas? Thank you Dana for sharing this recipe!! I just made couple batches tonight for tomorrow dessert contest at my work. OMG … they are soooo ridiculously delicious. If I was not on diet I could eat them all lol. I used the exact recipe, added few chocolate chips inside each cookie and baked them for 10 minutes at 375°F, exactly as you recommended :-). All turned out great. Awesome!!! Again … thank you :-). My batter was super duper sticky!! What did I do wrong?? I did this exactly per the instructions except I doubled the recipe.. It is a very sticky batter, then you let it rest in the fridge and it will firm up, allowing you to roll the cookies into balls. 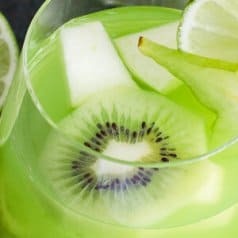 This recipe looks divine – I found it on Pinterest (after googling the image on another person’s post with your image). The other site had your recipe too, but the site looked odd and the URL did not match your watermark. I can’t wait to try this since I am bringing the sweets to Christmas dinner. I thought I’d add this to the usual tried and true recipes since it’s gotten such rave reviews! Thanks for the heads up Kristina, yes many of my recipes get stolen every day, it is hard to keep track! If you could provide me the url I would be very grateful! Made these for Christmas this year. What a wonderfully light and tasty cookie! Is now in my regular group of gift cookies!! 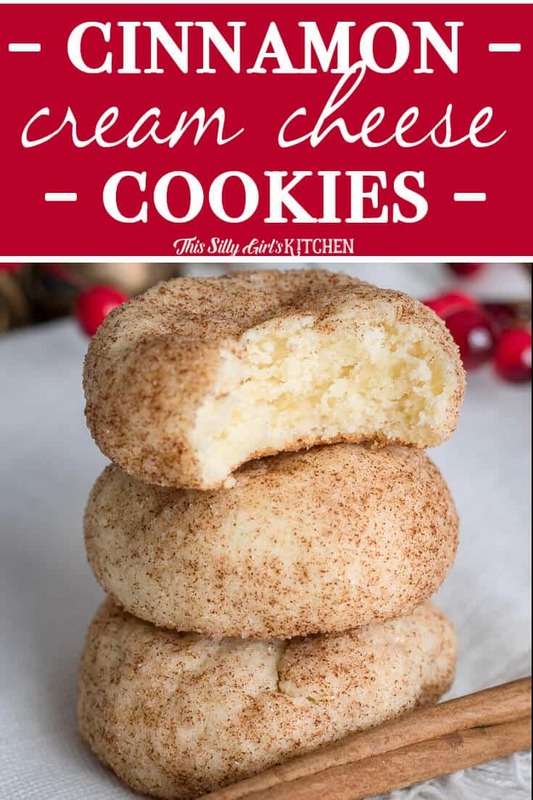 These were the best snicker doodle cookies I have baked or ate, although I did use shortening instead of butter. Hi Dana, I made the Cinnamon Cheesecake cookies just now, there’s a lot more than predicted so I think I’ve made them a little smaller, it doesn’t matter they came out fantastic! My husband complained that maybe they weren’t done as he kept coming back for more n more, lol which meant he loved them! Thank you for a delicious recipe! I see there is many ways to make them different! Personally, I don’t think cinnamon and lemon go together, but if that sounds like a good combo to you, then go for it!